Looking for Wedding Drinks Reception Entertainment Ideas in Scotland? 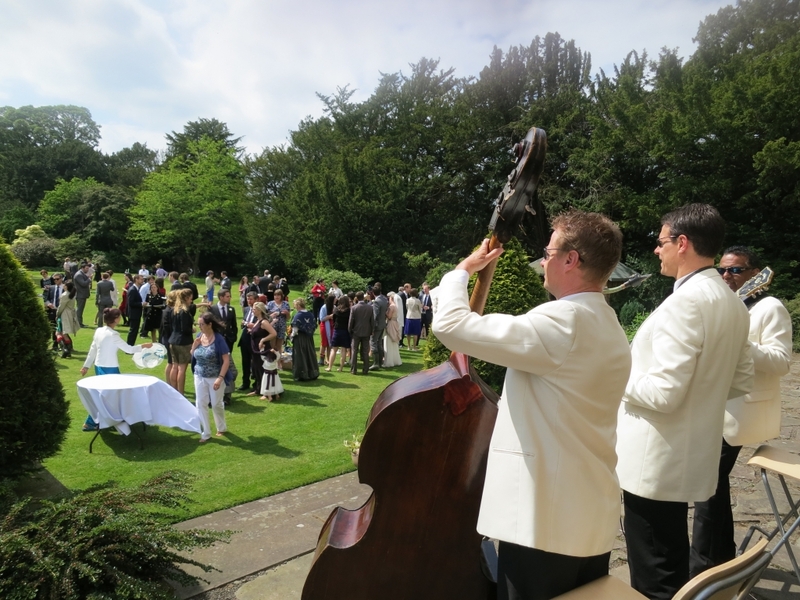 The Ritz Trio offer an elegantly entertaining wedding drinks reception entertainment idea. 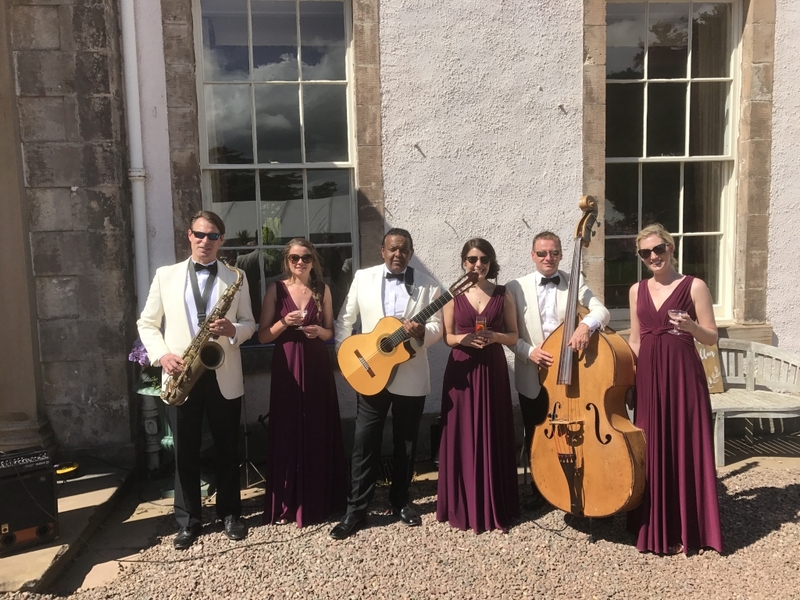 This busy band, based in Scotland, have for many years been adding their foot tapping style to drinks receptions and corporate events across for over a decade. Having the Ritz Trio play at a wedding reception is a great way to break the ice and encourage your guests to mingle and feel relaxed. 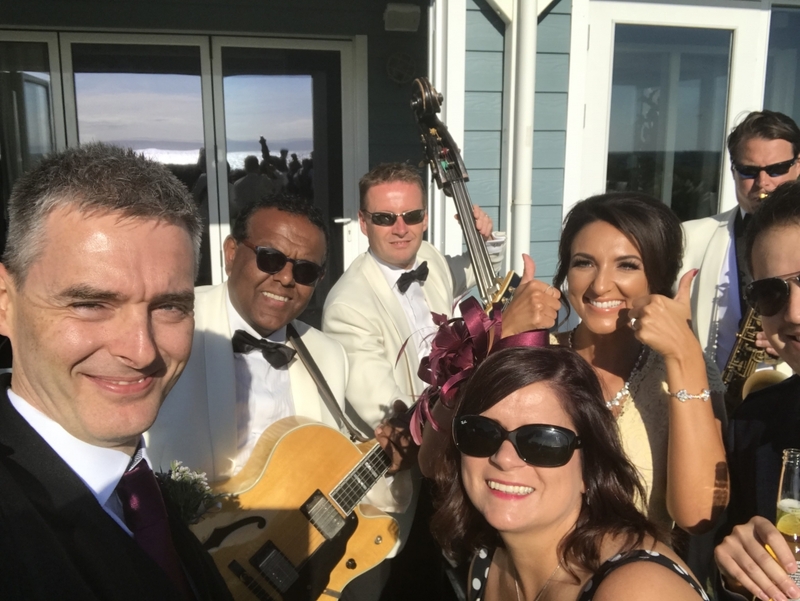 Their music ranges from Swing, Latin, The Roaring 20s and Rat Pack to more popular music, all played at a level to enable your guests to talk and enjoy your champagne cocktail reception. 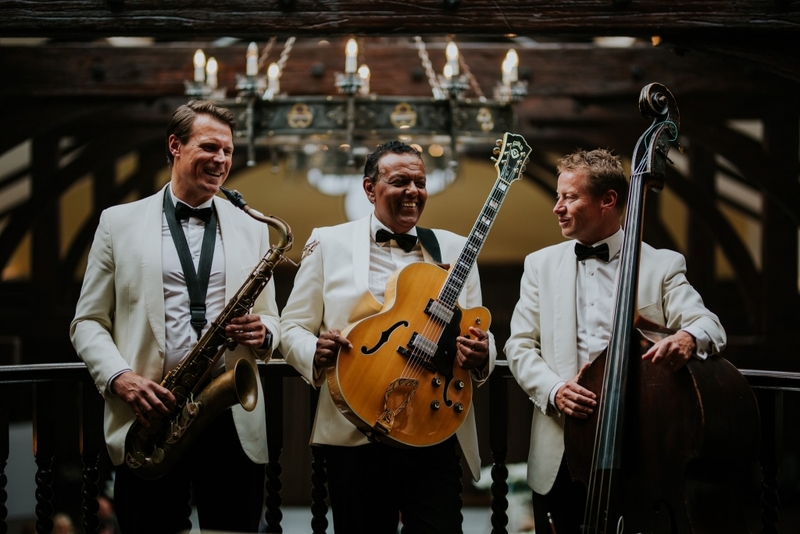 The Ritz Trio play an extensive list of familiar Jazz standards such as Fly Me To The Moon, Have You Met Miss Jones, LOVE (Nat King Cole), Lets’s Fall In Love, I’m In The Mood For Love as well as a number of well-known Latin tunes such as Sway, Besame Mucho and The Girl From Ipanema. The repertoire also includes a few more well known popular renditions including Music To Watch Girls Go By and Can’t Take My Eyes Off You. From the moment you make contact with us you can be assured that planning the music for your wedding will be a trouble free experience. You can relax and look forward to the big day when we create an unforgettable atmosphere for you and your guests. Cameron House, Balbirnie House, Trump Turnberry, One Devonshire Gardens at Hotel du Vin, Kinkell Byre and Meldrum Castle, Boturich Castle, Old Course St Andrew’s, Crutherland House Hotel, Bothwell Bridge Hotel, Society For Advocates Aberdeen, Tay Park House Dundee, Killearn Village Hall, Glencorse House, Dalduff Farm Maybole, Meldrum House Hotel Oldmeldrum, Glenbervie House, Archerfield East Lothian, Tullibole Castle Kinross, Raemoir House Banchory, Lynnhurst Hotel Johnstone, Auchnagairn House, Mar Hall, Drumtochty Castle, Myres Castle. Visit our home page to see more great customers reviews like this!